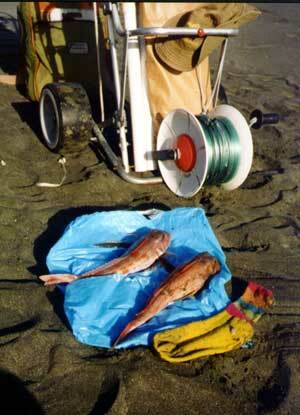 We have just got back from Orewa Beach (9.30 p.m.) after running one set with our Paul's Fishing Kites 65 kg dropper rig. 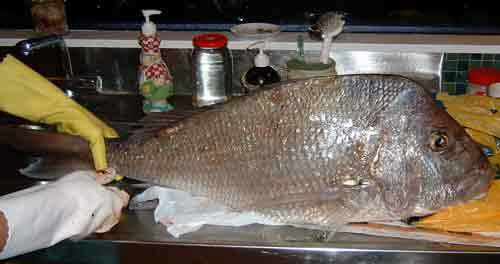 The 4/0 Target Snapper Hooks were baited with mullet strips. I had to put a tack on the kite due to the moderate southerly wind but still managed to get the kite almost straight out. There were no other kite fishers on the beach. The boys and I caught five snapper in total, two of which were undersize and were put back. Two of the keepers were pansize, the last one was the biggest and weighed in at 8 kilograms, I also wound up with a horrendous tangle in the hook section. I will be going kitefishing again later in the week! 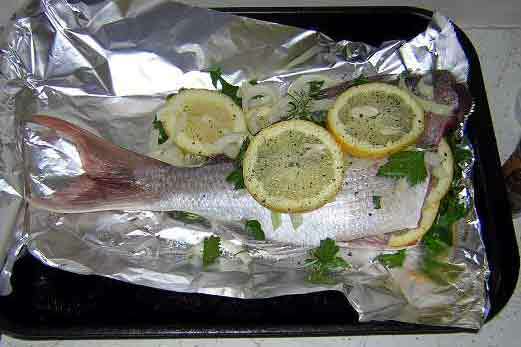 The fish were caught on a rising tide and the surf was moderate with very little rip. Monday 18 August was a warm and sunny day with around 10 knots of northeast wind blowing. It was perfect for kite fishing. Usually when I go to Muriwai Beach I get a good catch but on this day I could only manage two gurnard from two sets of 10 hooks. 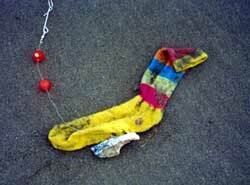 Just sometimes you will get something unusual and that something on this day was a very colourful sock. It was caught on the last hook and on a floating bead trace of course. I hesitated to send this report in because four of our kitefisher friends caught 10 kilogram plus snappers around the same time while yours truly finished up with only a yellow red and blue sock and two gurnard caught 1000 metres offshore. Kia ora, Shot out to the northern end of Orewa Beach on Friday night and baited up ten hooks with squid baits and sent them out on their merry way in a slight offshore breeze. We left the gear out to fish for about two hours before hauling it all back in. On the second to last hook we pulled in a nice 45cm snapper. Anna did it up something special (as pictured below) and we had it for a late dinner- beautiful. I did one 25 hook set with my Paul's Fishing Kites' longline rig in a strong southeast wind. The surf was moderate and we fished on an outgoing tide and wound up not quite straight offshore. I was using trevally for bait. With the really gusty wind I first tried my nighthawk kite attached by the high wind setting. The winds were just too strong and the kite nose dived into the tide about 50 metres off-shore. It was easy to pull it back in as I had the safety float attached, but I then found the centre spar had shattered. Bugger! No worries though, I also had a super kite on hand and connected that to do the honours, which it did no sweat! Result : Five nice kahawai, all of which were taken on the floating bead traces.